Columbus, Ohio based post-rock band, The End Of The Ocean, shared “bravado” - their first new music in seven year - today via an official video. This first release follows the announcement made earlier this year that they have signed with rock innovators, Equal Vision Records. 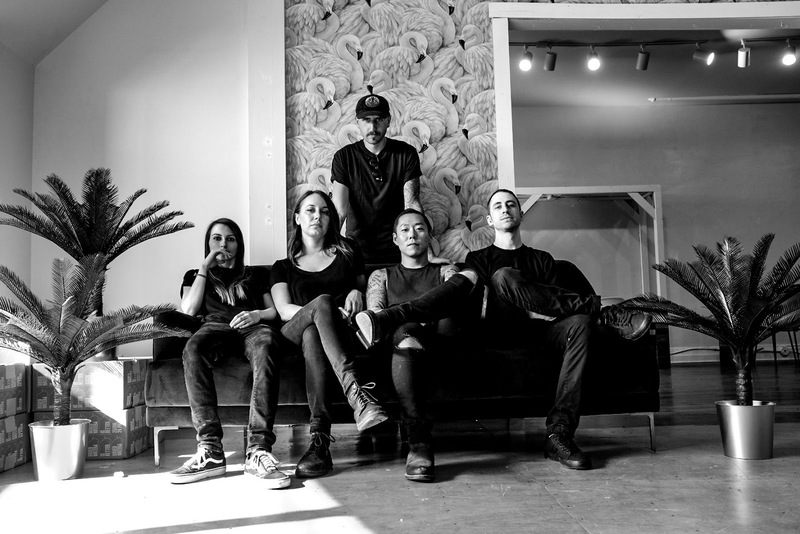 While the band recently completed their highly-anticipated label debut with producer Mike Watts (The Dillinger Escape Plan, Glassjaw), which will be released on Equal Vision early next year, more details are yet to be revealed. After reaching a breaking point following the release of their highly praised 2011 debut, Pacific-Atlantic, the band had to pump the breaks for fear of tearing themselves apart. With so much going on in their personal lives, Tara Mayer (keys) says that they needed to “give ourselves a chance to hurt so that we could have the chance to heal” before even thinking about another release. The past few years forced the band to come to terms with their own humanity and mortality, as well as that of their bandmates and friends. Once they were finally in a place with their personal lives that allowed them to focus on new music, the collaborative experience of writing ended up being a big part of their healing process and forged a bond that is stronger than ever between the four members of The End Of The Ocean. Their new music balances rich, thoughtful melodic passages, high-energy riff-wielding and truly epic climatic outpourings. The band has always been championed for their maelstrom of nostalgia, hope, beauty, melancholy, chaos and tranquility. Fans will experience a bigger, bolder version of that tempest as the band prepares to share what they’ve been working on.